So what did he do to deserve loosing his head? 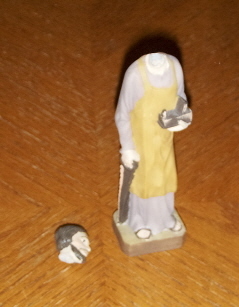 In our house, I don’t think there is a St. Joseph statue that hasn’t had at least a head or hand glued back on. I’m thinking maybe the problem had to do specifically with which St. Joseph statue you used. This is the first I think I’ve seen St. Joseph without the child Jesus.